The empirical formula for adipic acid is C3H5O2. 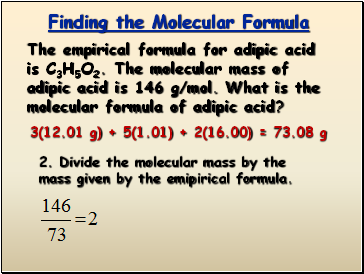 The molecular mass of adipic acid is 146 g/mol. 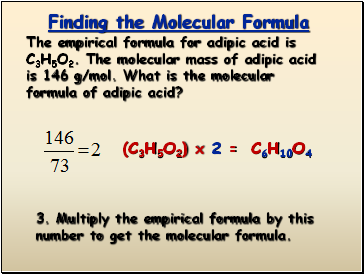 What is the molecular formula of adipic acid? 2. Divide the molecular mass by the mass given by the emipirical formula. 3. Multiply the empirical formula by this number to get the molecular formula.